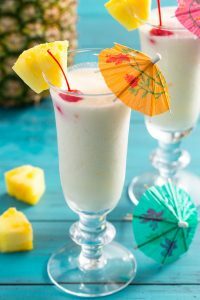 Summer is all about hydrating yourself and what can be better than smoothies to beat-the-heat. Have a glass of smoothie for breakfast and give a kick start to your day. 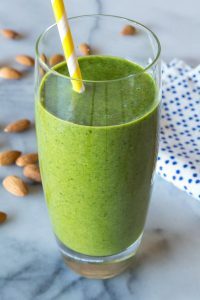 You can choose from your favourite fruits or some green veggies and blend them together with some nuts to make your breakfast interesting. 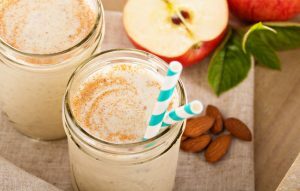 Here’s are some smoothies worth waking up for! 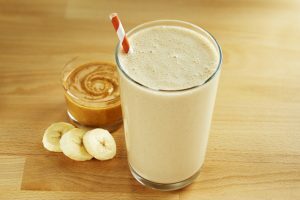 In the blender, add banana, milk, peanut butter and ice cubes; blend in until the mixture is smooth and frothy. Makes about 1 ½ cups. Taste and adjust flavour as needed. Add more milk or fruit juice if too thick. Add more frozen banana if not sweet enough. Serve immediately. Freezes well (or make into Popsicles). Slice the banana and pineapple and refrigerate for a thicker consistency. In the blender, add all the ingredients and blend well until smooth. Pour it into the glass and enjoy your smoothie. Add all the ingredients in the blender, blend it until it’s smooth and frothy. Refrigerate banana for a thicker consistency. 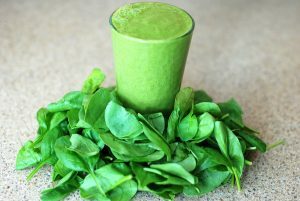 In the blender, add lettuce, coconut water, banana, cucumber, spinach and apple. Blend well until it is smooth. 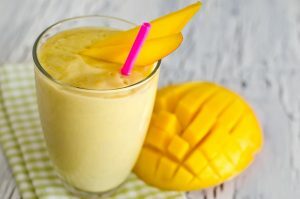 Freeze some chopped Mango to get a thicker consistency. Blend all the ingredients in the blender to make your refreshing summer smoothie. Add all the ingredients to the blender and blend well. Make sure to refrigerate the banana for a thicker consistency. Don’t want to get into the hassle of making your own smoothie? Check out our list of top smoothie joints in town that hook you up with delicious and healthy smoothies! OTH: One of the best cafés of Jaipur located in C Scheme, OTH offers a great variety of delightful smoothies. Their recipes include Banana + Peanut Butter + Expresso; Kiwi + Apple + Banana; and the seasonal favourite Mango smoothie. 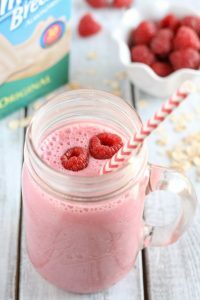 Frooce: For all the health freaks, Frooce is a great option for a wide variety of healthy smoothies packed with protein power. Other than this they also serve up all-day energizer and pineapple smoothie. Lazy Mojo: Located in Malviya Nagar, an immensely popular joint amongst the teens, Café lazy Mojo offers Strawberry, Mix Berry Banana and Apple and Mint Smoothie. The Pent House: The a rooftop café located in Malviya Nagar, The Pent House serves really sumptuous smoothies like blueberry smoothie, almond smoothie, and their special Pent House smoothie.